Dragooned by powerful longing to meet her ancient lover she is now a solitary traveler of an abyss of unfathomable space and time where she is sent on a roller coaster ride to a bizarre realm of gonzo occurrences, happenings, visions, premonitions, divine visitations and startling revelations of her past birth. She involuntarily unravels the ancient most secret of the extinct cryptic writings of a new religion shrouded in the misty Himalayan valley. In a cruel game plan of higher she is compelled, controlled and commanded by a powerful goddess to become a Saint, a Guru, a Love Messiah and reveal the lost mystical secret to “ENTER THE UNKNOWN REALM” of true lovers, twin souls and split halves before “ The End of the world begins”. The author Poonam Uppal is a fashion designer turned author. This is her debut novel. Born in Jabalpur a bustling city of Central India, Poonaam Uppal recounts her childhood in the Gospel of True & Passionate Love. The engaging story of trials and travesty of life for a young growing girl in conservative Punjabi home extols the Indian author’s skills as a writer. From youth to a mature woman, the story unfolds with candor to divulge the angst of her romance. The account of her true love intertwined in agony of passion and desire are engaging. The book, A Passionaate Gospel of True Love excels in structured narrative and deciphers her romantic interlude alluringly. Poonaam Uppal has transcended from fashion designer to divinity. Her work is a narration of vivid accounts of life in India and eventual emancipation of her character. 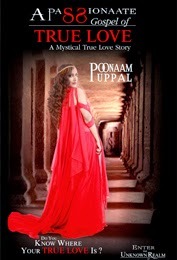 Poonaam Uppal author is a divine incarnate of Goddess Durga. She is engaged in future publications of mystical accounts of her divine revelations. From the blurb of the novel you form an impression that this is going to be a story of two lovers, reuniting in this birth once again and some supernatural stuff. But it is actually holy kamasutra as you can make out from the moment you open the book. Like the author has written in the acknowledgement she had requested a friend to click some pictures of Khajuraho , who had asked her why write a book on this where our country is flooded with books on them. To which the author says the book is going to be different from all of those available on this topic till now. The author makes a decent beginning by trying to introduce us to the character of Moh, her aspirations, her life, her dreams, her desires and all that can make one feel connected to her. The story proceeds to the point where she has to move to the United States and from here on somewhere the story begins to build up. As you expect the lover to come actually it is a supernatural power that tells her what is in store for her in future making her question all that is around her. And then begins the journey of her quest. So far so good! The biggest minus is this book is huge, 1084 pages to be precise making it a very lengthy and bulky read. Yes there have been large books that I have read, enjoyed and devoured to a large extent but somehow this one was well beyond most of them till now. And somehow it felt like a deterrent. Maybe the author should have tried coming out in sequels, would have helped even the reader have a nice easy time trying to read it, grasp its depth and also look forward to more of it. Secondly the book lacks in the editing department to quite an extent. The author has already apologized to her readers about this as she didn’t want any editor to work on this book and has done it all herself. So, taking that into consideration perhaps it explains the lapses. As writing such a huge story in itself is a mammoth task and then editing it, is another. One can understand the amount of work that has gone behind this book! So kudos to the author for this passion towards the book, as she has said she led a celibate life till the completion of this book, which was a divine intervention. I somehow feel the story lacked grip at many places where the plot seemed to be running in so many directions making a reader confused. If you ask me, I am still unable to decide whether this book was a drama, romance, erotica or biography. I read the book keeping all these initial thoughts aside but there were many portions where they kept coming back to me as questions long after I had stopped reading the book. This book has depth, in terms of explaining the connection between the souls and taking us to the mystical world of rebirths. The author seems to have done a lot of research and studied in detail regarding the same. It reflects in many chapters where she talks about it all. But at the same time I would say it lacks emotional depth that is required in stories that deal with true love and passion, and that is where it maybe didn’t connect with me to the level I was expecting especially after reading the name of the book. Overall, a very different attempt by the author for various reasons. Not everyone would be able to enjoy this piece though, however having said that people who appreciate such genres which talk about these topics might want to give this book a read. For me it was an average read which could have been better with sound editing, dividing the books into parts and giving it a tighter narration. 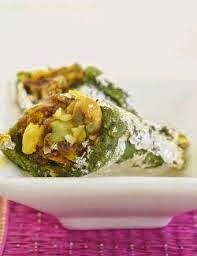 This book is like paan mithai - different! Thanks so much for stopping by, appreciate the same!